Remember the movie You’ve Got Mail with Tom Hanks and Meg Ryan? It is a cute movie about two bookstore owners who fall in love through emails, not knowing the anonymous senders. It came out at a time when the Internet was still new and quite the rave. So each time, one of them heard that beep or signal to say there was mail, excitement filled the air. Since, then, we have evolved and we are flooded with emails, texts, tweets, Facebook, Instagram and a host of other digital services. They come in with such speed that we barely have time to reflect on a message before our inboxes have refilled with more messages. We are truly in the information overload age as we connect with those in our circles throughout the day. What if we had to wait a few days or a week for a response or wait until a letter came with some long-awaited information? I wonder if there would be enough patience to play the waiting game and rely on old methods of communication. Or, if a letter had to be handwritten, how many of us actually have stationery in the house? How many have stamps on hand to mail the letter? I have a pen pal with whom I have exchanged letters over the years. She lives many miles away and I have always looked forward to reading her letters. She keeps me updated on her family’s latest ventures .I have kept her letters over the years and she has archived mine as well. But, then, we finally moved into the new millennium and I finally let her start emailing me. I hesitated to go along because I knew we were losing a special art. And that is simply sitting down and writing a letter. After a conversation about the importance of writing in longhand, we both vowed to make a conscious effort to put something in the mail every now and then. Emails are so impersonal. Letters, better known in history as correspondence have served as records in Early American History letting us know what people were thinking and doing back then. The digital world is nice, but there is nothing like a paper record of a time gone by. Seeing someone’s handwriting reminds us of that person in a unique way. It defines a part of who they are. I recently ran across the handwritten letters from family members who are no longer with us, and it offered a warm feeling of remembrance. It was like having another chance for a brief chat. How do you feel about diversity? When the first efforts were made to acknowledge different cultures, the buzz word was multiculturalism. Now, it is simply called diversity. Librarians scrambled to make sure that their collections met the new criteria. They chose books where all children could see themselves and their families represented. This added to their self-worth and it gave them a place of representation in the world. At the time, I did not quite understand the importance of the new push; but now I truly see the need for children to have shared experiences with children from varied backgrounds and cultures. The mingling is a great opportunity for them to grow as they get ready to live and work in the real and multi-faceted world. It enriches them and helps them become more rounded. I thought of this topic because of a news clip I saw earlier this week. It talked about certain students who did well in high school but when they went on to college, they could not cope with the other cultures. One, in particular, did not know how to cope nor interact. He felt isolated and contemplated suicide. His former school is now putting some scaffolding methods in place to assist future students so that they can operate from a level of confidence. Having conversations with others from all walks of life opens and widens viewpoints. Reading and talking with others remind us that we are all alike. We all have the same hopes, dreams, fears and emotions. We are indeed universal, though we may look and sound differently. Children who have been exposed to diverse situations are more relaxed with all types and often ease the adult fears. They are much more tolerant and understanding. The earlier children get to know other cultures, the better. They will become adults who are comfortable with many types of people and less restricted in their thinking and feelings toward others. We learn from each other and being in a diverse setting is the absolute best way to measure socially acceptable behavior. When a group is from one background or culture, they may think that certain negative behavior is okay; but in the company of others, chances are that it will be more subdued. Normally, in a diverse group, children and adults are more likely to put on their better manners and display behaviors that synchronize with the expectations. A look, a stare, a gaped mouth are definite signals saying that this will not do. Those children who do make friendships with those from other cultures are richer for it. They visit each other’s homes and learn different languages, foods and clothes. Oftentimes, these unions open the doors to travel, both in the country and overseas. So, mingling is a very good thing because too much of the same only brings a sense of loss of what is real. Fling open the doors and let others show some new ways of living this life! 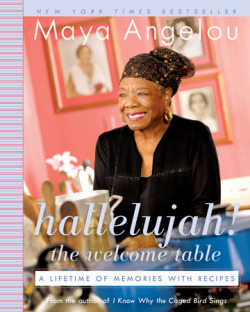 Maya Angelou: Honoring Our Greats! It’s black history month in the States and before this short month of February slips away, I would like to pay homage to those who paved the way. During the Academy Awards on Sunday night, Merle Streep did the portion honoring those stars that we lost in the past year. The list was quite extensive but the ones who stuck out in my mind were Mickey Rooney (I grew up watching his movies); Lauren Bacall (I think she epitomized women’s liberation with her raspy voice, strong stance and her wearing of pants) and then there was Maya Angelou. She is the focal point, here. I paused when I remembered that she passed last year. What can be said of this woman and writer of over 20 books? There is so much. As an avid reader, I journeyed through her life with her when I first read, I Know Why the Caged Bird Sings. It was riveting as she shared her story of sexual child abuse and its devastating effects on her life. I remembered reading a short piece on Mrs. Flowers. I didn’t know that she had actually written a book with the same title until today. However, after her experience, young Maya became mute and did not speak until Mrs. Flowers, a highly respected and educated woman in the community, coaxed her to read. The way she described this woman’s clothes, make-up and the scent of her talcum powder reminded me of how children study every detail about us. She told young Maya, “Your grandmother says you read a lot. Every chance you get. That’s good, but not good enough. Words mean more than what is set down on paper. It takes the human voice to infuse them with the shades of deeper meaning.” She was able to get Maya to speak and thus her healing began. This one act of love helped her regain her courage and it put her on the path to becoming a great and powerful storyteller who showered us with the beauty of her words. I read many of her books as they came out. She shared parts of her life as she traveled around the globe and married men from different backgrounds and cultures. She painted very vivid pictures in my mind as I kept up as her books came off the presses. Her biographical books along with her poems kept me entertained as I followed her rich and illustrious life. Here are a few of her books that I had until they were tattered and torn. Just Give Me A Cool Drink…Diee; Gather Together in My Name; Singin’ Swingin’ and Getting’ Merry Like Christmas; All of God’s Children Need Traveling Shoes; Heart of a Woman; I Shall Not be Moved; On the Pulse of the Morning and the last book I read by her was, Letter to My Daughter. I have quoted the poems, ’Phenomenal Woman’ and ‘Still I Rise’, throughout the years. I had the distinct pleasure of seeing and hearing her at a gathering in 2003! Thank goodness! To Dr. Maya Angelou, I want to say thank you and kudos to you! You exemplify the talent that only a loving writer can give to the world and I only hope that I can touch the baton that you laid down and leave a few footprints in the sand as well. Learning another language can be exciting! It opens up both sides of the brain as a special listening ear seems to unleash itself. According to one article, the learning of a second language has several benefits such as: creating brain growth; staving off dementia (we want that! ); increasing listening skills and boosting memory, to name a few (www.spring.ork.uk). I took French over and over, but sadly, I am not fluent ‘en francais.’ I can conjugate verbs, know some nouns and I studied the French map; but I cannot converse in French. I think that the foreign language teachers finally figured out that all of the drilling and listening to tapes did not prepare students for a simple conversation. So, I eventually found a conversational French course which made much more sense. It was more of what I needed; but then, I had no one to use it with while learning. In order to really learn a new language and retain what is learned, conversations are needed. Practice does make perfect. One of Alice Walker’s short stories is called, Everyday Use. A new language should be used daily. When I had the opportunity to use my “Conversational French” in a French-speaking country, I was stared at as though I was a Martian. My confidence was quickly shattered and I vowed not to try that again. I reverted back to simply pointing to what I wanted and that was an unfortunate state of affairs. So in the New Year, I am working on ‘mi espanol’. I took a course called Spanish for Educators, and again, I had no reason to practice nor anyone to practice with, so what I learned lay dormant. I decided to use this time of epic cold weather wisely and I pulled out my trusty notes. I created a few flashcards and started to review some of the conversational phrases. I have even found a website that pronounces the words for me as I delve into this latest venture. This time around, I will be more assertive and speak with more confidence, regardless of the reactions from others. I will be more patient with myself as I work on becoming truly bilingual. Then, I can sharpen my brain, stave off dementia, increase my listening skills and boast my memory. French and Spanish are so similar! Being proficient in one makes it so much easier to learn the other! Confidence is the key! Adios mi amigo! The weather. What is it all about? Well, we will all agree that the weather is something that we have to contend with, no matter the form. We can scream, holler, cry or shout but, the weather, in all of its glory, demands one thing from all of us. And that is respect. As we teach PBIS to the children in the schools, we as adults are being duly reminded that the weather conditions from coast to coast are demanding the same from us. PBIS means Positive Behavioral Interventions and Supports. It is conducted in a variety of ways at different schools. In one middle school, when the teacher wanted her students to come back together and become less chatty, she merely said, “Honor.” And they responded in unison, “Respect.” The class was then totally quiet. So now, I go back to the weather. 2015 has come in with a punch that is making everyone remember the depth of the word, respect. Some may attribute these dire conditions to ‘Global Warning,’ ‘The Great One,’ or ‘Mother Nature.” Whatever or whomever we attribute these epic snowfalls and icy conditions to, we have to deal with what is happening in an effort to simply make it until spring. As a Midwesterner, I have been dressing in layers most of my life during the winters. But this year has come in with such a vengeance, that several layers still cannot give us that total protection. So, we simply must honor and respect the elements and try to limit our time out in the open air. When I look at what the New Englanders are going through, I first have to remind myself to close my mouth as I stare at the television in disbelief. It is shocking. After nudging myself, I remember that this is not a scene out of Dr. Zhivago as I watch a train speeding as it is clearing the snow or as I see the historic Niagara Falls truly frozen. Then, I send up a prayer for my fellow New Englanders and hope that things get better soon. The Southerners are also having some totally new experiences. I am quite certain that many of them had to do a little shopping for heavier winter wear as they too tried to figure out, “What is this all about?” But the wise ones respectfully pulled out their dollar bills or credit cards and wrapped a little tighter to show reverence for Old Man Winter. At times, we all wonder if we will remain. Each day is a test of endurance. We are constantly challenged and bombarded and are metals are tested to see if we can endure. Events test our characters to see what we are made of or to see if we have what it takes to keep on keeping on. Stuart Wilde wrote, “Retreat can sometimes be the most powerful tool in your bag of tricks. It’s the ability to walk away when things are not right….” It may behoove us to take a step back or take the low road until we can really see what is going on. That is why Marvin Gaye’s song What’s Going On? is such a timeless piece. We may have to minimize the screen as on a computer until we can put things into perspective and decide each occurrence’s level of importance. Then, we can take that humble stance until we can sort out our priorities and see what is and isn’t important. Or, we may have to act like the bull and continually run head on into the battle until we get the lesson and can truly advance on to higher ground. Og Mandino wrote, “…the bravery of each bull is then rated with care according to the number of times he demonstrates his willingness to charge in spite of the sting of the blade.” (The Greatest Salesman in the World) So, when in the heat of a battle, we must buckle down and use strategies that help us to stand firm until the tide changes. But, endure we must. Walk away from the troubling condition and find a pleasant replacement or diversion. Go to the show or theatre. Go shopping and enjoy a little retail therapy. (It is guaranteed to work). Visit or call a friend and talk about something other than the problem. But, if necessary, we can contact that trusted friend and VENT. We can let it all hang out by using a loud voice as we release some of the combustible energy. Even a few expletives might be filtered throughout the conversation, but that is what real friends are for. They get it. Their day will be coming soon enough and we can then return the favor by being on the listening end of the spewing session. If none of those alternatives work, then it might be time to contact the source of our angst. As unpleasant as it may be, sometimes, we have to go for the gusto. We might have to get in touch with the person who is creating the discomfort and attempt to have a conversation. We can only try. If a talk is on the table, then we can say, “Great.” There is hope for growth and reconciliation in the relationship. But, if we are met with high opposition by someone who claims that they, “Don’t know what you are talking about,’ we simply shrug our shoulders with an, ‘Oh well.’ We can chalk it up to experience knowing that we tried to make things better or at least tolerable. We can cut our losses and move on. We gently close the door, look straight ahead and keep on walking. As The Temptations sang “Don’t Look Back.” We breathe. We shake it off knowing that we shall remain and endure as long as we keep jogging forward! How do people feel when you enter their spheres? What is your aura? How do others feel when they encounter you for the first time? What type of energy do you generate? These are questions that we need to ask ourselves as we make a checklist to see how we impact other people. Do they smile and relax as they receive you with an openness? Or, do their muscles tighten as they fold their arms across their chests, which is a strong indication of being on the defense? Oftentimes, we do not know how we make others feel during those first meetings. But, people unconsciously react to our aura and the energy that we exude and sent out into the atmosphere. They respond to that energy whether it is positive or negative. 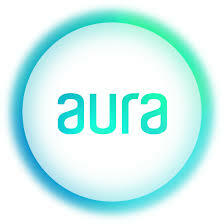 An aura is like steam that comes off of an engine or a radiator. It has an air that does a multitude of invisible things and in turn, it has the ability to create its own responses. If people smile when they meet us for the first time, we are probably smiling or emitting some feelings of warmth that others react to right away. However, if people automatically put up a large guard, we could be wearing a frown that is causing them to distance themselves from us. Or maybe, we could have a haughty look of arrogance and project what appears to be a sneer. A silent competition may ensue because the other persons may feel that they have to prove their worth or value. Love: Let Me Count the Ways! Expectations are quite high which often leaves room for big disappointments, when the expected doesn’t happen. Yet, as we mature, we learn to measure love in more substantial ways. We learn to look at the small and everyday things that others do to lighten our loads. They are showing real love. We should not take anything or anyone for granted. If we think that someone else’s presence doesn’t make a difference, we should see what life is like when they are no longer around or available. So, as we tally the points that equate real love, we should consider the following that others share with us such as: those daily chats; that good listening ear; a nod to acknowledge that we have been heard; a smile; a call to see if we are okay; their presence during a crisis; their offering of protection against negative forces or taking other steps to buffer some of life’s storms. In Elizabeth Barrett Browning‘s sonnet, she asks the question, “How do I love thee? Let me count the ways. I love thee to the depth and breadth and height…” We should be counting and making sure that we truly see the efforts that others are making to assist us on our journeys. Feeling another’s pain and showing concern or compassion is a form of love. Reaching out to soothe and comfort is a form of love. Telling someone that it is going to be okay, even when there is an inner doubt, is a form of love. Flowers, cards, candy and jewelry are symbolic ways of saying, “I love you.” Sure, they are nice gestures. We feel excited when we receive these thoughtful gifts, but they are still fleeting. They last for a season. But the healing and helping hand of a friend is eternal and it is a permanent love that will remain forever. Those acts of kindness that we have received are only a thought away, even if the giver is no longer in our lives. Those good feelings are etched in our memories and that is what love does. It leaves us with warm feelings of hope. We remember the kindness shown or the patience that someone displayed as we worked through some personal dilemma. We remember the hours spent talking about what bothered us and we remember those who took the time to let us bare our souls. We remember the ones who saw us in our most vulnerable states but did not judge us too harshly. They just held our hands as we worked through whatever was ailing us at the time. My first book, A Golden Leaf in Time Revised, closes with a poem on Love. ‘Love is pink, soft, and true; And erases any feeling of blue. Love is round and spongy too; ’Cause it bounces back on you. 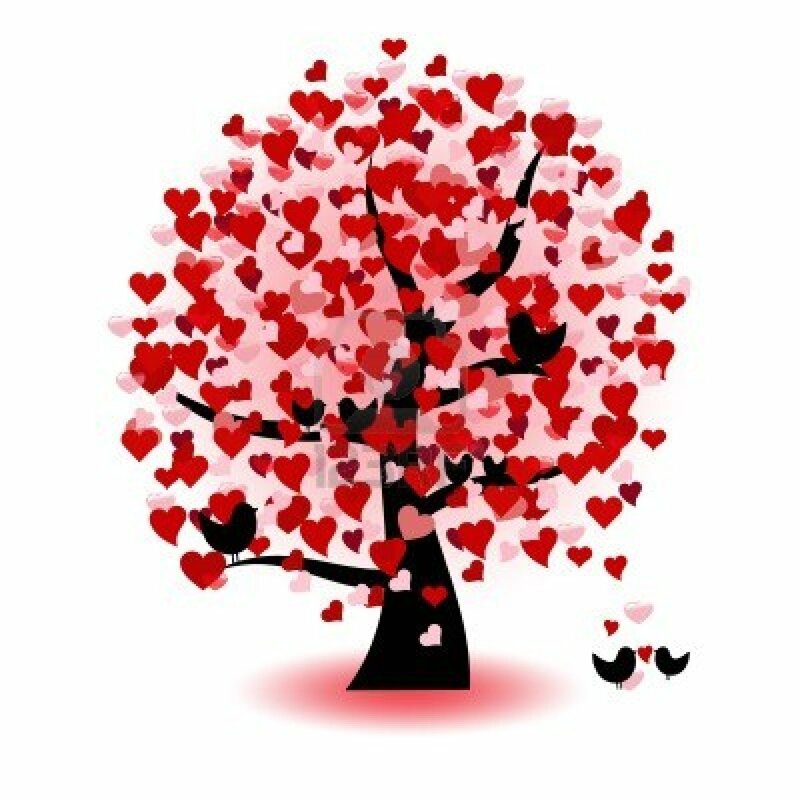 I hope that you are counting the ways that someone is showing you love on a daily basis! The movie Black or White with Kevin Costner and Octavia L. Spencer in the lead roles left me thinking about the complexity of race and its relationships. Every now and then a tear fell as this powerful story unfolded. It opens with Elliott Anderson (Kevin Costner) sitting in a hospital hallway. He is comforted by his colleague and friend, Rick Reynolds (Bill Burr) after he learns that his wife has just died from her injuries in a car wreck. Elliot is a corporate lawyer who drinks heavily as he tries to cope with his immense loss. He and his wife have been raising their bi-racial granddaughter and he is faced with the unenviable task of breaking the news to this seven year-old. Her name is Eloise (Jillian Estell) and most of the movie is centered on her welfare. She has a reticent maturity which makes her quite adorable and this adds to the poignancy of this story. A custody battle ensues when her African-American grandmother, Rowena Jeffers (Octavia L. Spencer) decides that Eloise should be with her side of the family after Elliott’s wife’s death. He is often too intoxicated to drive so he relies on his granddaughter’s math tutor, Duvan (Mpho Koaho) to drive him around. There are light moments in the movie; especially when Elliott tries to comb Eloise’s hair or when the tutor, Duvan is often seen presenting his written papers to prove his credentials. But, when Eloise starts the court-ordered psychiatric evaluations her disposition changes and she starts asking more questions about her absent father. Elliott does not like what he sees and is more disturbed when her father, Reggie Davis (Andre Holland) actually shows up. He is an irresponsible drug user who cannot get his life on track and also has a history of needing to borrow money. His mother is the typical African-American mother who is overly protective of her male child. She refuses to see his shortcomings and encourages him to fight for custody of Eloise. Elliott is very bitter because Eloise’s mother (his daughter) was only seventeen when she died in childbirth. He and his wife were not there and he sees Reggie as a hopeless loser for taking his daughter down such a dark path. Reggie, on the other hand, is being led by his mother and not even sure that he is ready to be a father. But, the most substantive part of the movie is when the black man and white man have to face off. They both are forced to look down into a well that they have not had to deal with. Elliott realizes that his drinking problem is equivalent to Reggie’s drug use. Reggie realizes that he has not taken ownership of his reckless behavior and finally apologies to Elliott for contributing to his daughter’s death. This movie is a must-see because it forces the viewers to face some tough issues about individual inner prejudices. Viewers have to take a look inside and admit some of their preconceived notions held about people from other races with lifestyles that are not understood nor embraced. Yet, the innocence and protection of a child is the focal point. Eloise is like the eye of the hurricane. All of the debris is flying around her but she remains unharmed and intact as the adults act in childish ways. Eventually, they are altered and thus become more round. According to Britannica.com, “Round characters are complex and undergo development, sometimes sufficiently surprise the reader.” I would say, go see this movie because interracial relationships are here to stay and this little girl gets the better of two worlds as a by-product of this union. ‘I can see clearly now that the rain has gone. I can see all obstacles in my way.’ Remember that song? The lyrics were sung by Johnny Nash and I pause whenever I hear it because just like the ebb and flow of the ocean, I am always overcoming something as I continually climb the totem pole of life. Sometimes, the storms of life keep raging and it is comparable to the gift that just keeps on giving. I wonder, “When will it stop? How much more of the downpour and drenching can I endure? 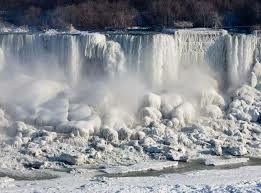 When will I get to shake the water off as our pet animals do?” Too much of anything brings a level of discomfort. But, we meander through the dark tunnel during life’s storms and fortify ourselves as we stand firm. We may be tattered and torn, yet we must remain resilient. I recently did a Q & A with Author Julie Freed and her book, Naked. It focused on her determination to rebuild her life after a failing marriage during the devastation of the historic Hurricane Katrina. She stated that she could see clearer after the rain. It is a notable work and well-worth reading. And one day, “Voila!” The sun appears! The words from the song ‘Tomorrow’, say, “The sun will come out tomorrow. So you gotta’ hang on ‘til tomorrow, come what may!” Everything will become crystal clear as all of the positive forces come together to get us to higher ground. Then we can peer down from our new mountain and see how far we have traveled. We can let out a huge sigh of relief, now that things have become wondrously clear!